IPI Partners bought an Elk Grove Village data center for $118.9 million, signaling continued investor interest in the growing industrial sector. T5 Data Centers sold the 208,000-square-foot, 10-megawatt facility at 1441 Touhy Avenue. It was built by Forsythe Technology, opened in 2015 and sold to T5 in 2016. IPI Partners, a joint venture between ICONIQ Capital and an affiliate of Iron Point Partners invests, in data centers and other technology and connectivity-related assets. In March, it bought three Infomart data centers in San Jose, California; Hillsboro, Oregon; and Ashburn, Virginia. T5 and IPI have previously worked together to build a massive data center campus in Fort Worth, Texas. Driven by high demand for digital storage, investment in the U.S. data center sector reached record levels in 2017, with Chicago climbing to the third-largest market in total inventory. That need is expected to keep rising, according to a report earlier this year by CBRE, which ranked the city behind only Northern Virginia and Dallas/Fort Worth. Investor interest in the data center sector remains strong, and expected future demand for their services means the sector might be strong enough to weather a downturn at the end of the cycle. The sector has seen a handful of major deals this year as firms expand and acquire interests in data centers, according to National Real Estate Investor. Brookfield Infrastructure plans to buy AT&T’s data centers for $1.1 billion. EdgeCore Internet Real Estate, a new company, announced in February it was planning to spend $2 billion on development in North America. 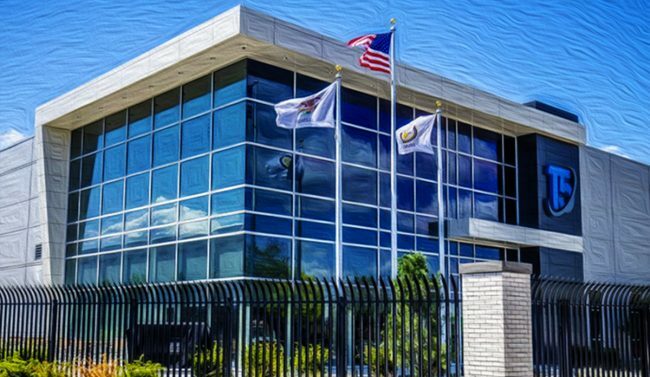 In Chicago, the area around O’Hare International Airport has seen strong data center activity, with CIM Group and 1547 Critical Systems Realty recently purchasing a historic former South Side baking plant with plans to turn it into a 24 megawatt data center.